Nigerians pay for their hotel rooms in different ways because are so many payment options available at their disposal. However, the million naira question is which of the payment methods do they use often? Jumia Travel, the leading online travel agency, discusses research-backed ways Nigerians pay for their hotel stay. Despite the aggressive efforts of the Central Bank of Nigeria in encouraging a cashless economy and limiting the cash circulating, a good number of Nigerians still prefer to carry cash around to pay for their hotel stay and other allied services. According to the Hospitality Report 2018, 67% of Nigerians pay for their bookings at the hotel. This is unsurprising because of the level of trust Nigerians have for the other payment methods. 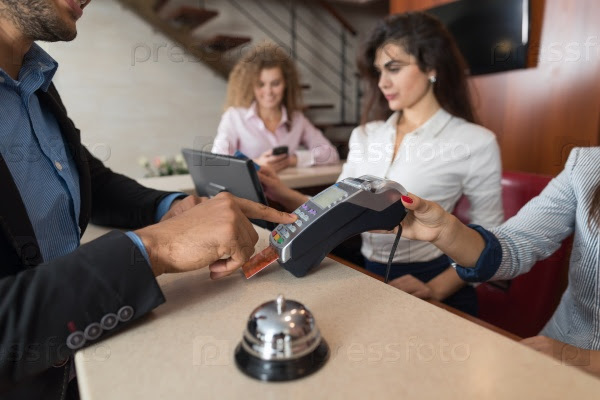 Many believe that there will be no controversy or back and forth if they pay cash at the hotel notwithstanding if they booked their hotels online or at the hotel. Increased internet penetration has boosted the position of mobile money. As far as you have an internet-savvy smartphone, you can send money via your bank's mobile app. The ease at which you can transfer money seems to make mobile money an acceptable payment method for Nigerians. Research reveals that 19% of Nigerians use this option to pay for their hotel. Even though many e-commerce platforms are online, they endeavour to raise their offline footprints by having and owning offline stores. In this case, 10% of Nigerians booked and paid for their hotel rooms at offline stores. Payment through credit/debit card is the least alternative Nigerians utilise to settle their hotel bookings. According to the hospitality report 2018, only 4% used the card payment choice. You may not be surprised because you have to provide your credit card details and PIN to pay for services, which can easily expose you to hackers and fraudsters. You will even be more vulnerable if the payment interface is insecure and easily penetrable. The consequence of the low rating of credit/debit card is that it may take a bit of time before Nigerians prepay for services. This is why a number of e-commerce sites including Jumia Travel have to still make do with customers paying for services at hotels.